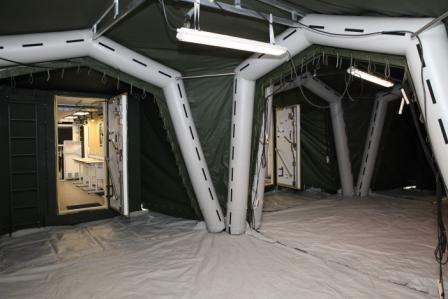 The "C2 Shelters" system is procured by the Swedish Defence Materiel Administration (FMV) and will be used by the Swedish Armed Forces to provide working and technical areas, primarily within various staff units. 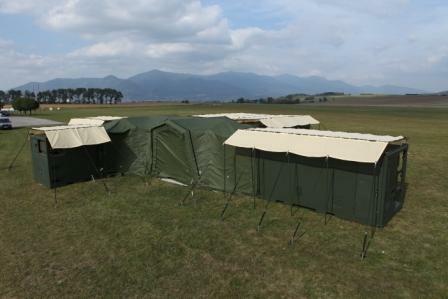 - Installation (infrastructure) of the shelters is flexible and can support several different capabilities. - Fully operational system units satisfy strict requirements of internal noise level, shocks and vibrations and EMI/EMC protection. - The system is adapted for operation, transport, storage and maintenance with the specified performance level within the climate categories A1, A2, A3, B1, B2, B3, C0 and C1 in accordance with AECTP 200 Category 230, Leaflet 2311. 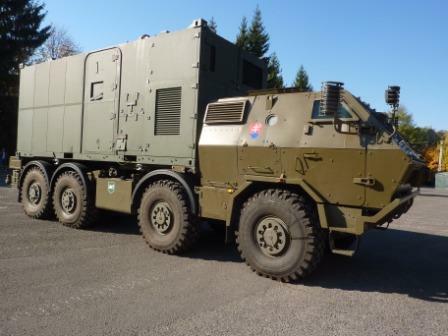 - System is equipped with integrated power generator set and air conditioning units with CBRN protection. Documentation, training and logistic support are also important part of delivery. 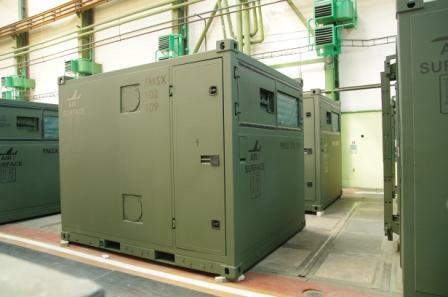 These areas are based on a standard container in accordance with ISO 668 1C (length 20 ft, height and width 8 ft) to facilitate handling and transport. 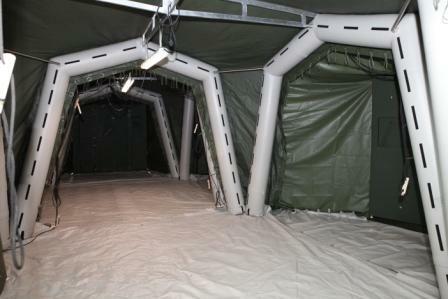 The shelters are available in two different variants, a Command Shelter (COS) and a Staff Working Shelter (SWS). 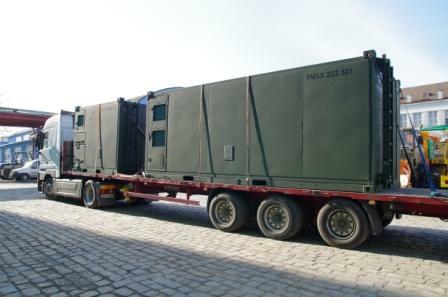 The "COS" is a mobile, self-sufficient workspace with ballistic protection. 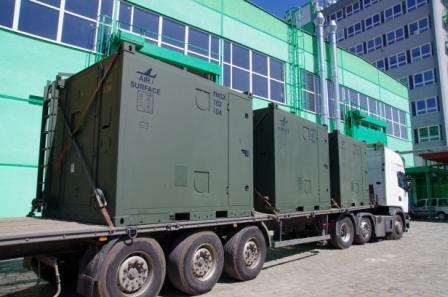 The shelter is prepared for installation of communication equipment and it is equipped with integrated power generator set. 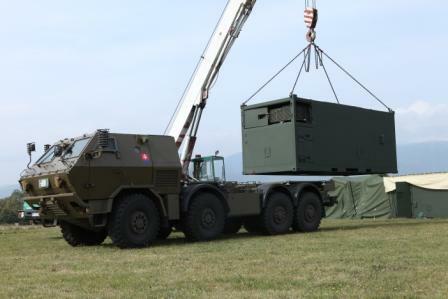 The "SWS" is also a mobile workspace with internal working environment which is adapted for "office work". The installation allows flexible utilization, i.e. it is possible to reallocate workplaces as required. Shelters have external dimensions in accordance with ISO 668 IC and 1D. 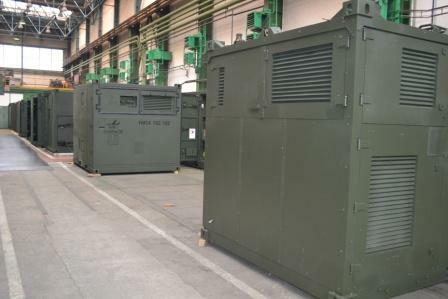 The areas are available in two different variants/sizes, a Communication & Network Shelter 20 ft (CNS20) and a Communication & Network Shelter 10 ft (CNS10). 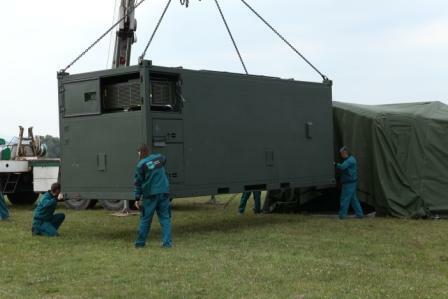 "CNSs" are mobile technical shelters which contains the technical equipment, i.e. servers, radio apparatus, etc., that are required for a functioning command system. TWS presents the combination of Staff Working Shelter (SWS) and Communication & Network Shelter (CNS). This equipment consists of a shade fly system and an interconnect system. The interconnect system is adapted for connection to all shelters. 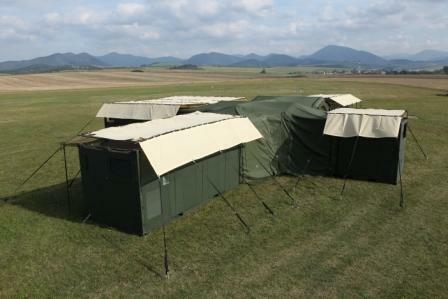 System is modular and flexible, and can connect two or more shelters. The shade fly system is adapted to all shelter types and protects shelters against solar irradiation, i.e. to provide shade and thereby to lower the temperature inside a shelter.